Lazarovic has been drawing charts about consumerism and living with less for a while now. (Another of her pieces riffs off Michael Pollan’s seven-word food manifesto: “Eat food. Not too much. Mostly plants.”) These and more will be collected by Penguin in a forthcoming book of visual essays, entitled A Bunch of Pretty Things I Did Not Buy, based on the year Lazarovic spent painting all the things she liked instead of buying them. Abraham Maslow would be pretty shocked at what most Americans today consider "needs." 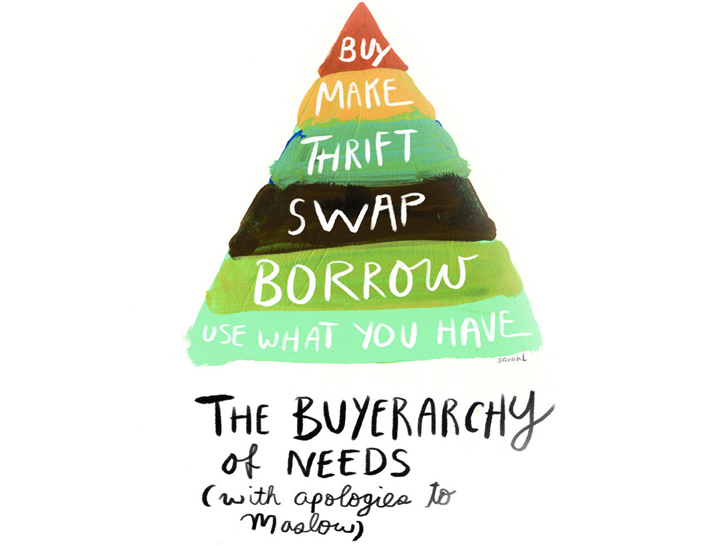 Sarah Lazarovic's reimagined "buyerarchy of needs" presents a new schematic for consumption, with "buying" becoming a top-level need that should only be considered when all other options (using, borrowing, swapping, thrifting, making) are exhausted. "The chart was a way for me to prioritize the manner in which I go about finding what I need," the Canadian illustrator tells Ecouterre. 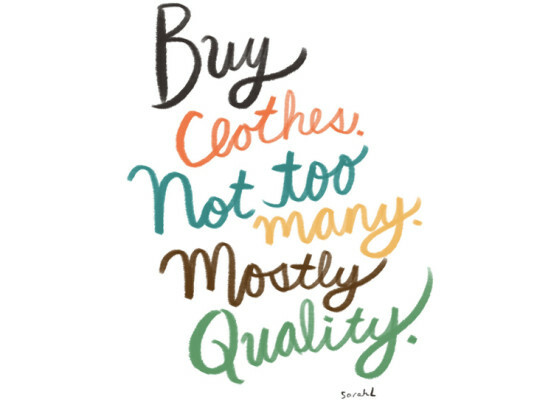 "Drawing it and hanging it on my wall keeps me in check when I'm tempted to buy something for the sake of expediency, or because I don't want to bother a friend, or trek to the thrift store."